Christ the Redeemer is one of the most evident symbols of world Catholicism, it is also a monument that provokes piety and admiration in the Catholic population, especially in that of Brazil, one of the most fervent in the world. It is therefore not surprising to find reproductions of the statue all over the country, and even beyond in the world, but it is interesting to note that it is also the subject of many tattoos. 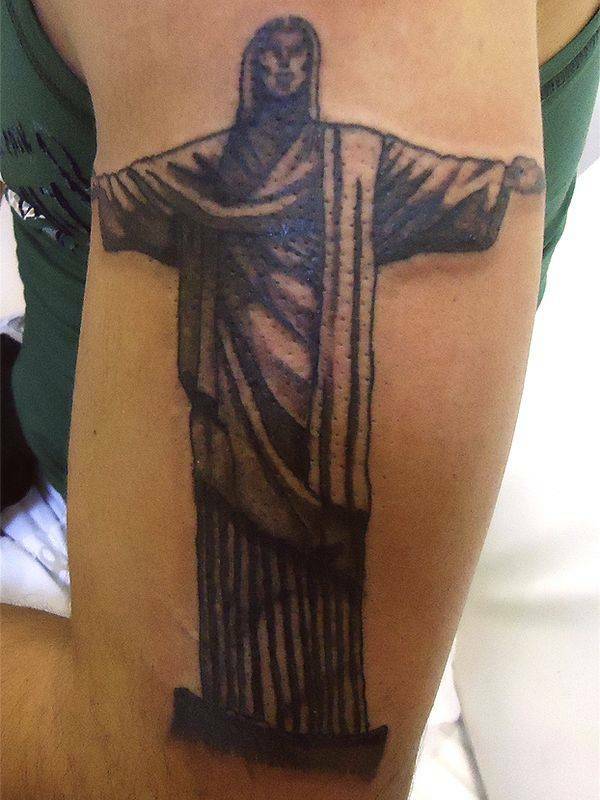 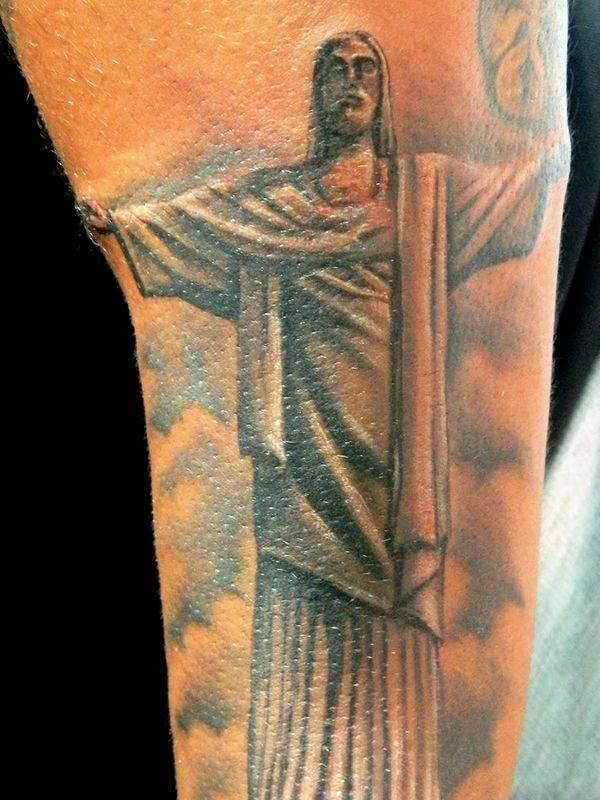 In fact, this statue is probably one of the most reproduced monuments in tattoos because it is both a Catholic symbol and a representation of Brazil. 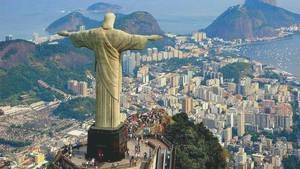 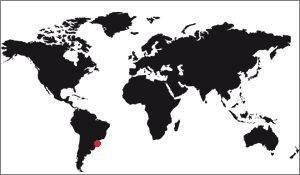 It is therefore in Brazil that it can be seen most often on the skin of the premises. 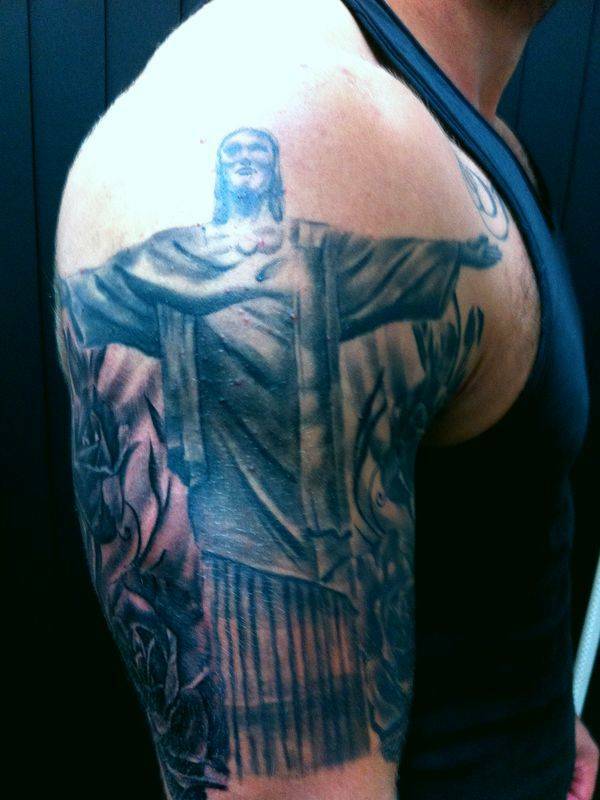 The most tattooed parts of the body are the shoulders, the calves and the back. 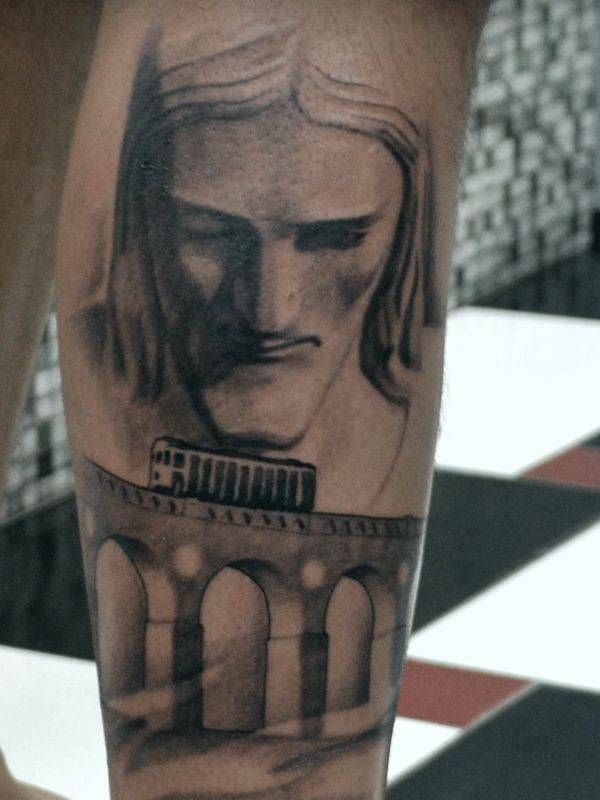 Shoulders and calves are supports for the redeeming Christ's face, or possibly smaller reproductions, but they are more rare. 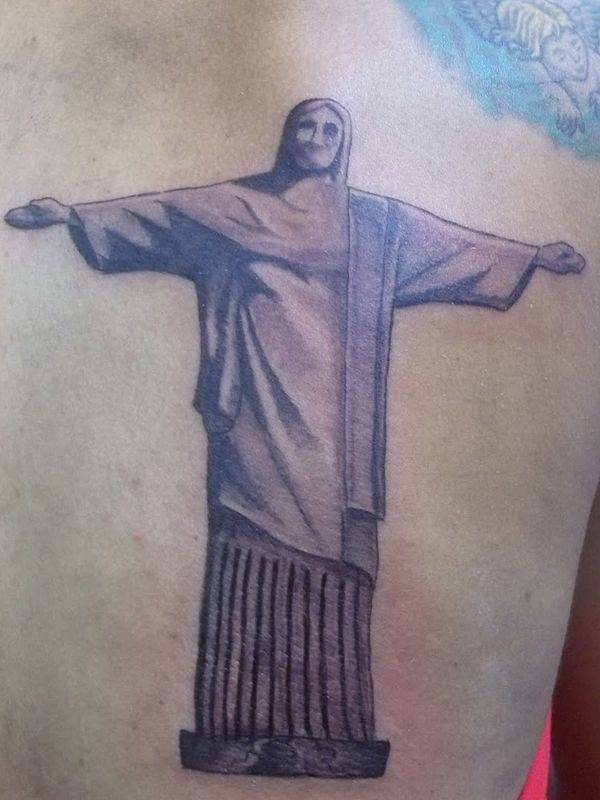 It is rare to see statues completely reproduced on a shoulders because its bearer must be particularly thick. But the most impressive reproductions are those made on the back because they almost systematically occupy the entire surface of the back, they form tattoos of large sizes. 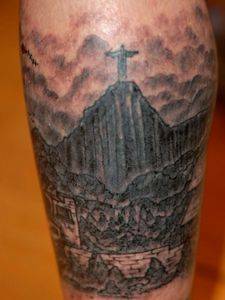 Often, too, the selected drawings blend several Brazilian monuments: the Corcovado, the Maracana stadium and the Sugarloaf are most often united. 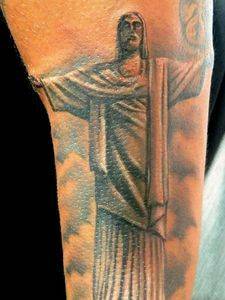 Sometimes too, but they are very rare, there are several monuments of the world: One sees then the statue of liberty coterie the redeeming Christ. 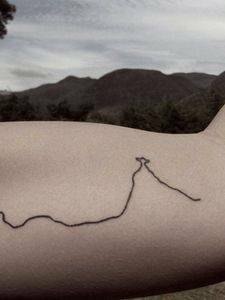 Here are some examples of tattoos representing Christ the Redeemer, sometimes with the Corcovado.